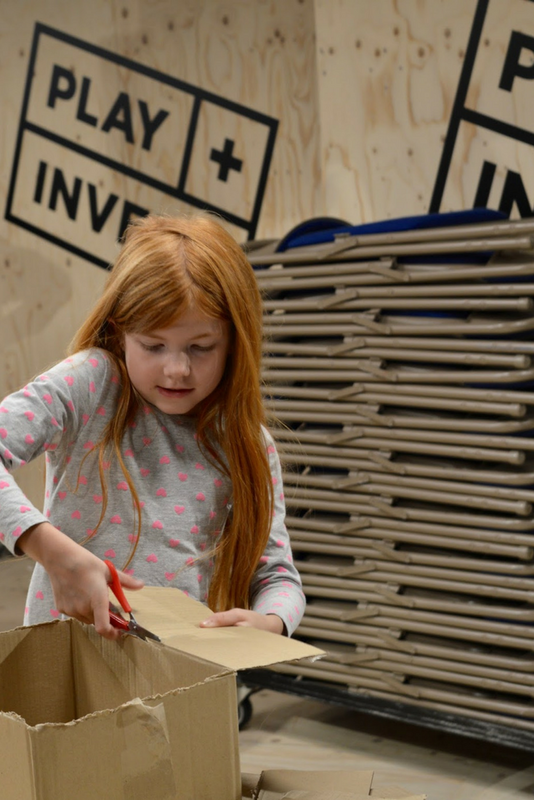 The Play + Invent space at The Discovery Museum in Newcastle is a fantastic place for budding inventors of all ages to create something amazing. My three LOVE playing with junk and just like the fairy liquid advert, they're always asking me to keep hold of washing up bottles, cardboard boxes and packaging so they can use it for their next invention. I love that the Play + Invent space allows them to do this and let their imaginations run wild on a much larger scale. 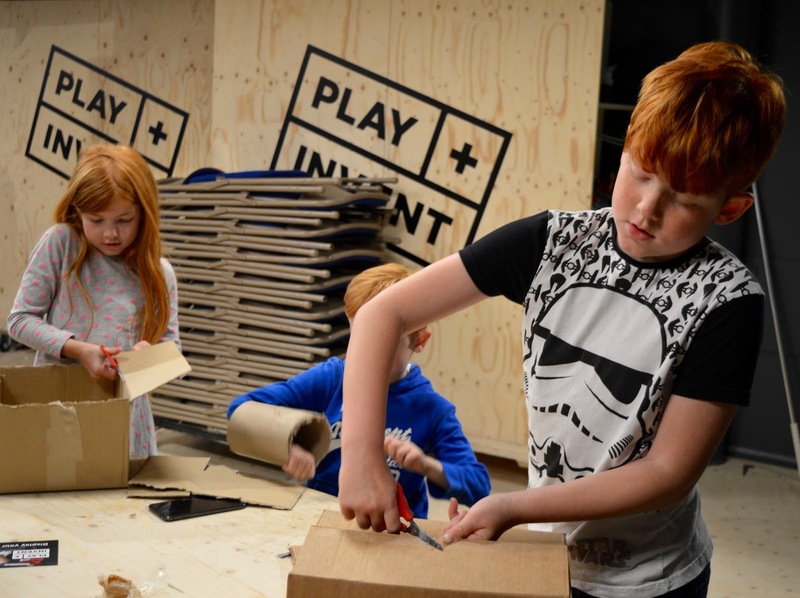 Play + Invent is open on weekdays from 10am - 4pm and is FREE to visit with self-led activities. During weekends and school holidays, the area is open from 11am - 3pm and there is a small £1.50 charge to visit and take part in a facilitated activity. The Discovery Museum is hosting little inventors all week throughout February Half Term where children can think up ingenious, fantastical and fun inventions with absolutely no limits. Little Inventors will take your children's idea and help make it a reality. Attending one of these facilitated sessions over half term is a fantastic way to get the kids involved with design and who knows, you could inspire the next generation of inventors. The cost for this drop-in activity is just £1.50 per child and available 11am-3pm. Little Inventors are also running the Great Exhibition of the North 'North 2030' challenge until 16th March. The challenge is open to children based in Northern England aged 5-12 and encourages children to create plans for a fantastic new invention. The winning designs will be brought to life by real designers and exhibited as part of the Great Exhibition of the North in June. This a fab way to encourage creativity and keep the kids entertained at home over half term - in fact, I'm going to get H, H and J involved as they love this kind of thing. Find out how to submit your child's entry here. Let the kids get inventing with exclusive use of our PLAY+INVENT space and learning room where you can serve your own birthday tea, play party games and music and hire your own entertainer. Parties can be booked for Saturdays and Sundays between 11am and 1.30pm and on Mondays to Fridays in school holidays between 10am and 12.30pm. Access is allowed to the party room 30 minutes before the start for any decorating or set-up. Suitable for up to 25 children. To book please contact the Discovery learning team: learning@discoverymuseum.org.uk or (0191) 277 2183 . Let me know if you're planning on joining Little Inventors this half term either at home or by entering the North 2030 challenge at home.